A pair of Angled floor mounted radiator valves from Burlington, the perfect complement to your period towel rail or radiator. 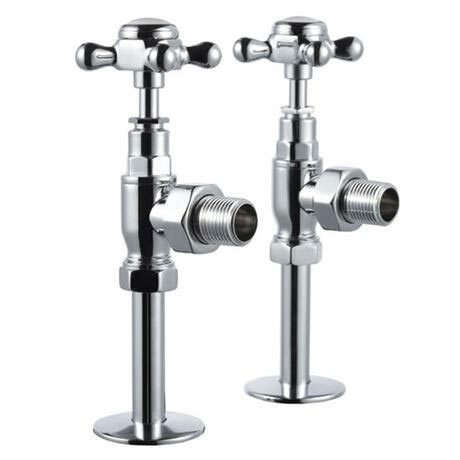 Manufactured from heavy brass with a high polished chrome plating with a ceramic indice in the centre of the tap head. Finish the ideal traditional towel heater or radiator to give your bathroom a look of luxury and class. They are robust and durable with a brass interior, yet have been finished in polished chrome plating for a touch of style. They are a great example of Burlington's abilities to produce excellence in both design and craft.